Today I found the specialty yarn store in Hobart, and it instantly became my favourite store in the CBD. So much beautiful wool, so many gorgeous textures and colours. I couldn’t help but purchase something, and my new yarn will become a lovely scarf in the new future. 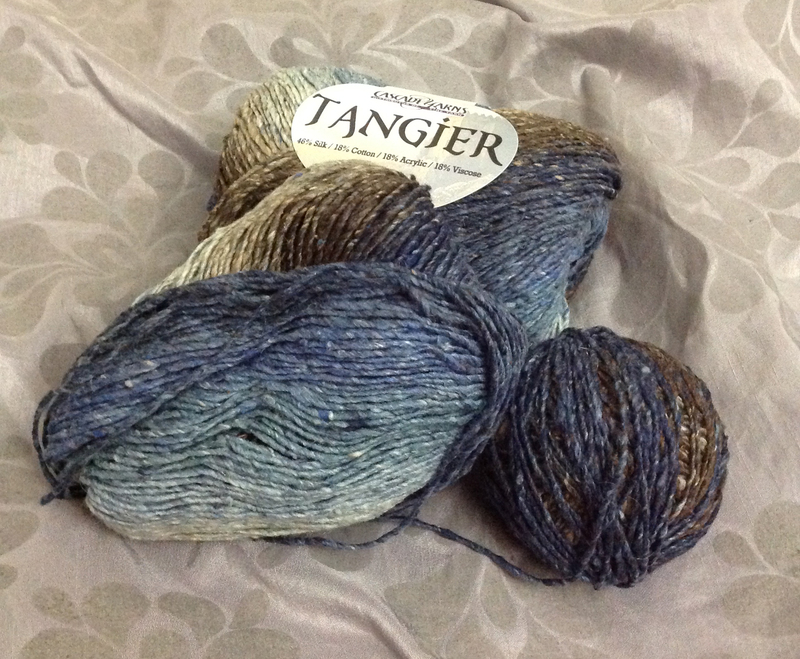 This gorgeously textured yarn is ‘Tangier’ from Cascade Yarns, and is a 46% silk / 18% cotton / 18% acrylic / 18% viscose blend. The pattern I have chosen is a Sweet Lorraine lace scarf designed by Doris Chan. Since I haven’t been crocheting long, I thought I’d pick a design that looks intricate but is really quite straightforward. It’s also got a fan edge instead of a more traditional straight edge, so if my stitching gets tighter it may not be as noticeable. Hopefully I will have some images of the work in progress to upload soon!